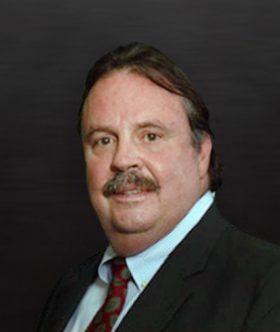 John Brown, a founding partner of Mullin Hoard & Brown, practices in the areas of accountant’s liability, director and officer liability, fidelity bond litigation, fiduciary and trusts and estates litigation, estate planning, and trust and probate law. For over twenty-five years, John has successfully represented trustees, executors, guardians and beneficiaries in a wide variety of contested trust and estate issues. He also advises clients in connection with their private tax and estate planning, structuring their business interests and carrying out their duties as trustees and executors. John focuses in representing creditors’ committees, trustees of litigation trusts established in bankruptcy proceedings and receivers of federally insured financial institutions in the recovery of various professional liability and fidelity bond claims. Most recently, he successfully represented the FDIC as receiver in claims against former officers and directors of the First National Bank of Arizona and First National Bank of Nevada. John also served as lead counsel alongside Steve Hoard in the firm’s successful representation of Enron Creditors Recovery Corporation (formerly Enron Corporation) to recover theft losses for insurers from Enron’s former Chief Financial Officer. This decision resulted in the largest settlement of a crime policy coverage case in U.S. history. John also has significant experience in accountant malpractice investigations and has litigated cases against all of the national accounting firms. John received his B.B.A. degree in Accounting with distinction from the University of Hawaii in 1974. Following college, he joined the audit staff of Haskins & Sells (now Deloitte & Touche) in San Francisco and became licensed as a certified public accountant in 1976. He received his J.D. degree with Honors from the University of California, Hastings College of the Law in 1979. While in law school, he served on the editorial staff of the Hastings Law Journal where he co-authored a published article with Dean Miguel de Capriles, former Dean of New York University Law School. While at Hastings, John also held membership in the Thurston Society and the Order of the Coif.